I want to try this variant A!life Protect- this helps protect the skin from the damaging rays of the sun and free-radicals it's also full of anti-oxidants. I also won from two other giveaways and I will talk about that on my next posts. Thank you so much A!life for this wonderful prizes. I will take the Malunggay supplement for a month and will update you with the result. I know I need this supplement because Malunggay contains most of the vitamins and minerals our body needs. After my operation, I lost a large amount of blood and underwent blood transfusion. 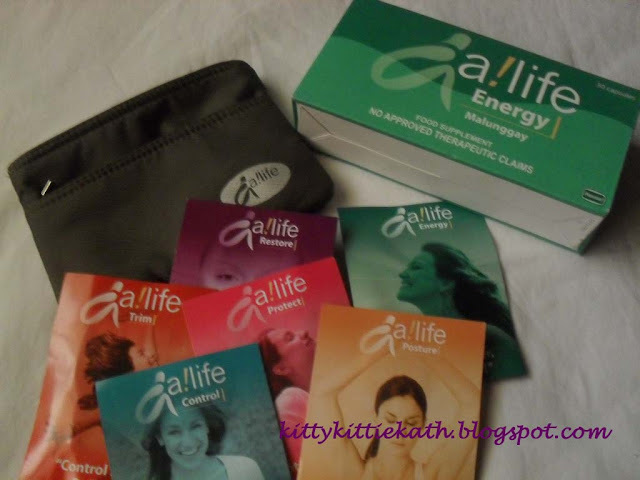 I hope A!life energy together with proper diet (no exercise yet) will bring me back in good shape. 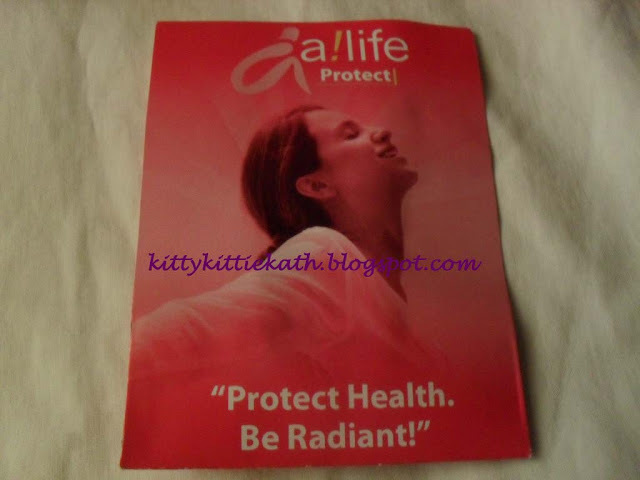 Have you heard of A!life?Which variant suits your lifestyle?Thanks for sharing! @Dawn- Thanks sis :) At least nanalo ka pa din. Meron nga iba na nabasa ko sa forum ang dami na nya sinalihan kahit isa hindi sya nanalo. Hindi lang ako swerte sa mga food giveaways. Yun sana gusto ko para na share ko kay hubby and Kenzo. Btw, I remembered na you won sa food blog ni Sumi. Sarap nun!